The most powerful and comprehensive self-service web portal designed especially for QuickBooks®. GoToMyAccounts is ALL about customer experience. What differentiates your business from your competitors? GoToMyAccounts will enhance your professional online appearance, and your customers will LOVE you for it! 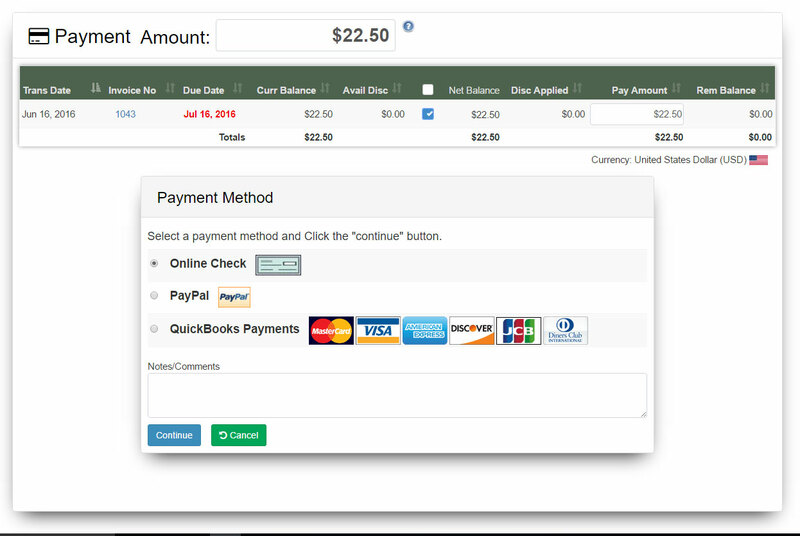 Your customers can login to their account, view invoices, payments, and update their account profile. Your customers can conveniently make payments online. 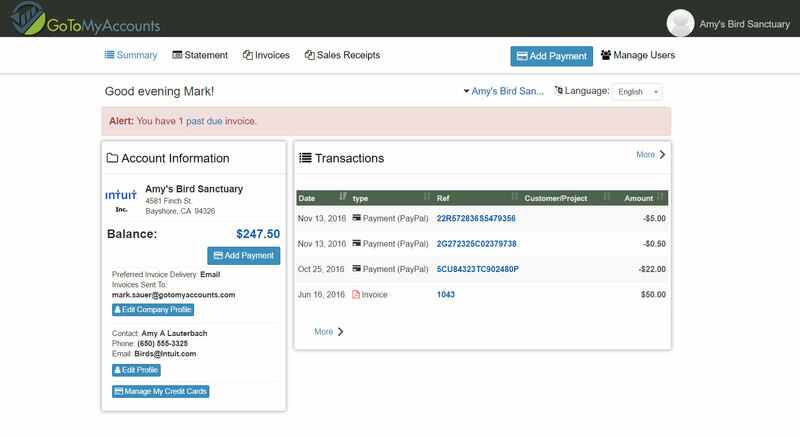 Payments can be applied across multiple invoices and your customers can decide what amount to pay on each invoice.